According to KGTV, both San Diego State University (SDSU) and the California State University system may require all students to have the Meningitis-B vaccine prior to the Fall of 2019 semester. Currently, ‘all SDSU undergraduate students aged 23 and younger who have not been fully immunized with the meningococcal B (MenB) vaccine are strongly recommended to get vaccinated as soon as possible,’ says the school website. But, the ‘San Diego County Public Health Services currently ‘does not recommend’ people aged 24 and above, as well as SDSU graduate students, faculty or staff receive the meningococcal vaccine, unless they are at increased risk, which the Centers for Disease Control and Prevention (CDC) defines. 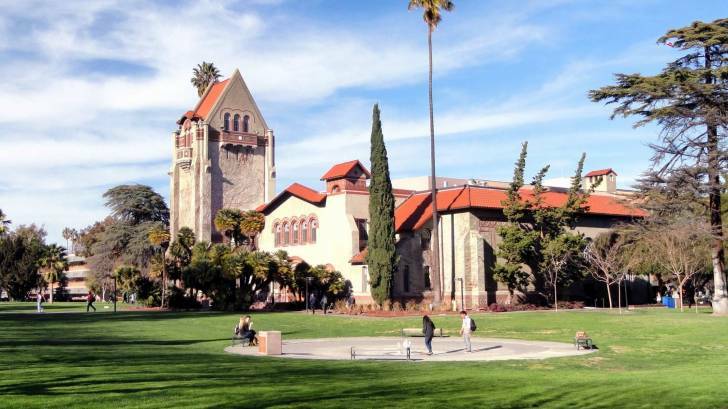 Additionally, according to SDSU, "The California State University (CSU) Office of the Chancellor is engaging in the review and consultation process necessary to update the existing ‘vaccination’ policy." Each incoming freshman who will be residing in on-campus housing will be required to return a form indicating that they have received information about meningococcal disease and the availability of the vaccine to prevent contracting the disease and indicating whether or not the student has chosen to receive the vaccination. The above are not admission requirements but are required of students as conditions of enrollment in CSU. These potential vaccination policy changes are related to 2 related events at SDSU. Previously, on September 28th, 2018, a 3rd meningococcal meningitis case was confirmed at SDSU. These 3 cases occurring in a 3.5-month period was determined to be an outbreak by the San Diago county health officer. Later, on October 19th, SDSU students who received meningitis inoculations from Walgreens on campus between the 5th - 8th, were asked to go back to Walgreens to have their vaccines re-administered. Meningococcal disease is caused by infection with bacteria called Neisseria meningitidis. These bacteria can infect the tissue that surrounds the brain and spinal cord and cause meningitis, says the CDC. Since then, the U.S. Food and Drug Administration (FDA) approved Trumenba and Bexsero for use in adolescents and young adults. For the best protection, more than 1 dose of a serogroup B meningococcal vaccine is needed.